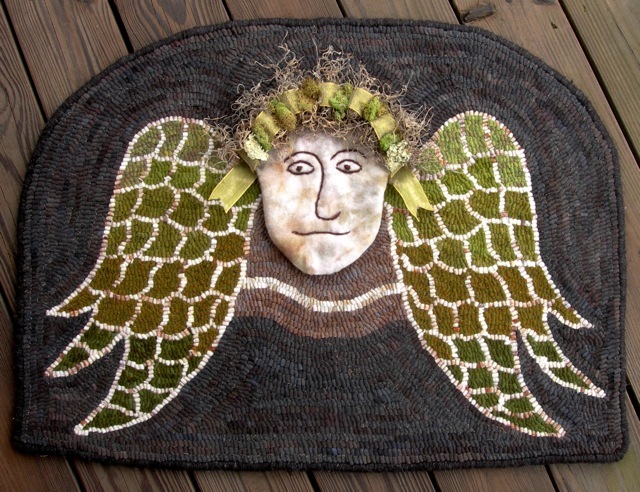 My Tombstone Angel rug is finished. After the hooking was completed, I steam blocked her and bound the edge my favorite way with cord. I had some charcoal grey wool for whipping around the edges, which was just right. 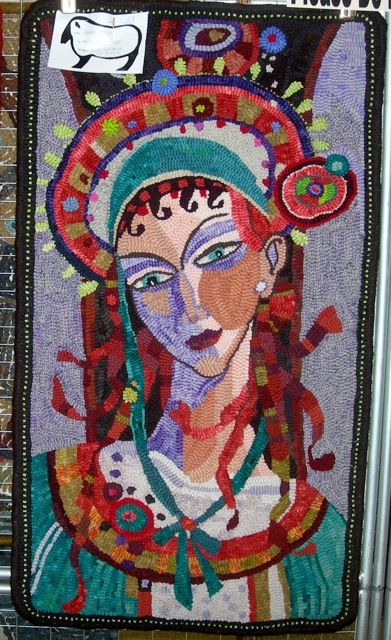 To see some photos of a previous rug bound this way, click here. 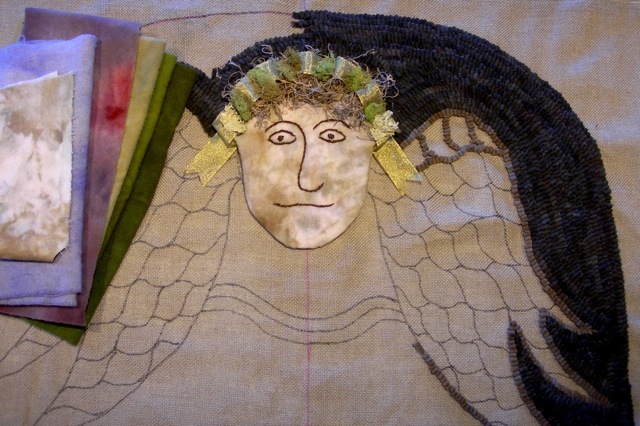 I still need to buy some Velcro® for attaching the angel ‘s head. 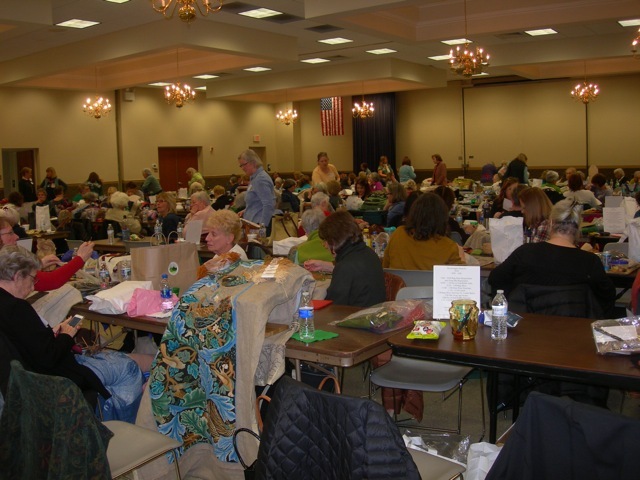 I will hand-sew strips vertically on the linen and horizontally on the back of her head. This way I can roll up the rug to store it if needed and keep her head separately in a box. That sounds a bit weird, doesn’t it? I hurried to finish this rug so that I could spend time with an old friend, who was going to visit from Connecticut. 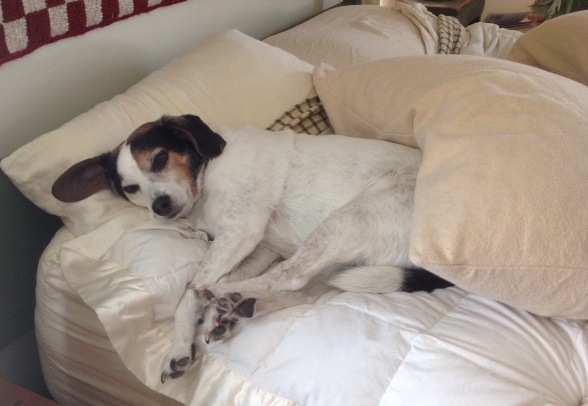 Unfortunately, her plans fell through and she was unable to come. So, I spent a lot of time this past weekend beginning a gift rug. The design has evolved and it should be a fun one to hook. I’ll share the progress next time. I hope the progress will include some hooking and not just the pattern drawn on linen. 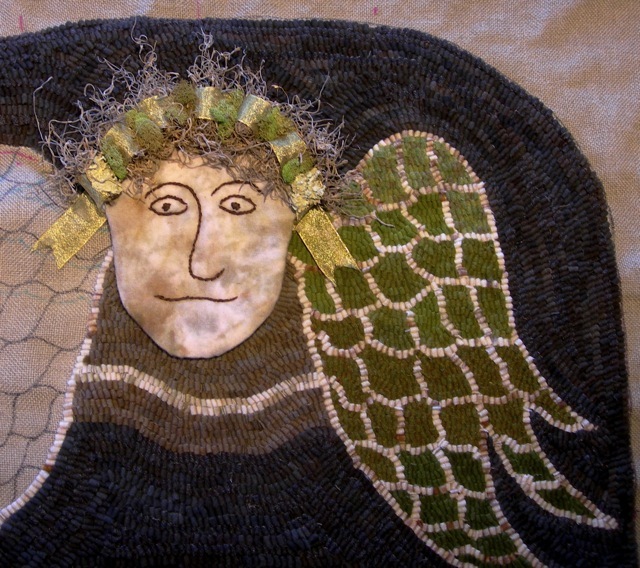 I have picked out some very colorful wool to use, which will be quite a change from this angel rug. We have had a couple of nice days recently, so perhaps Mother Nature is warming up to the idea of springtime. Let’s hope so! There’s a lot of beauty out there and in planning a colorful new rug. Tombstone Angel is ready to fly! 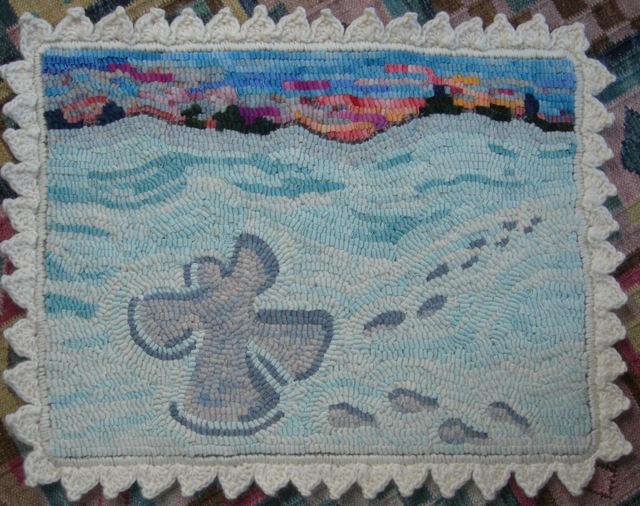 This is my Snow Angel rug that I also designed and hooked for the Magdalena Rug Hookers rug show in August.